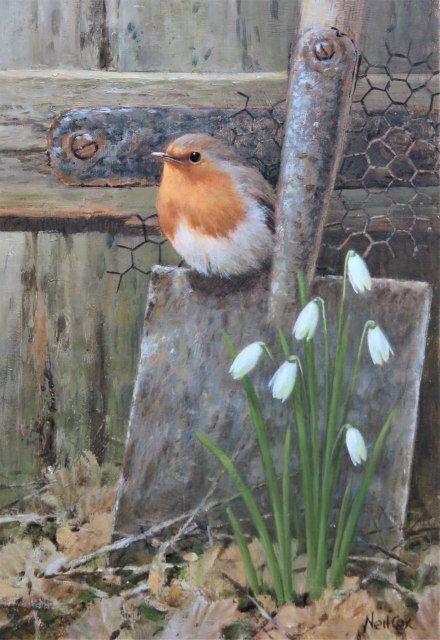 Born in 1955 near London Neil Cox was always interested in conservation and the environment and drew and painted Wildlife from an early age. Whilst reading Law at Southampton University he developed his skills during frequent trips to the New Forest. Having successfully graduated, early interest from galleries and private collectors prompted a decision to return to his first love and pursue a career as a wildlife artist. Neil Cox has since been very successful with exhibitions throughout Europe and the U.K. In Europe he has shown at the Celebrated Gallery Florrimont in Lausanne , Switzerland and for several years with Moll Brinks Konst in Uppsale, Sweden. His work has a growing following in the USA. Amongst others The Bennett Galleries, Tennessee and Holland + Holland, California and the Clarke Galleries, Vermont, have exhibited his works. Both Sotheby's and more recently Christie's have successfully auctioned his work, achieving prices indicative of his popularity. Neil now lives in the West Country, close to the sea in an area of outstanding natural beauty. This has enabled him to gain fresh inspiration from the landscape and great diversity of wildlife in this stunning part of the country.